We’d love your help. Let us know what’s wrong with this preview of Send the Alabamians by Nimrod Thompson Frazer. To mark the centenary of World War I, Send the Alabamians tells the remarkable story of a division of Alabama recruits whose service Douglas Mac Send the Alabamians recounts the story of the 167th Infantry Regiment of the WWI Rainbow Division from their recruitment to their valiant service on the bloody fields of eastern France in the climactic final months of World War I. To ask other readers questions about Send the Alabamians, please sign up. 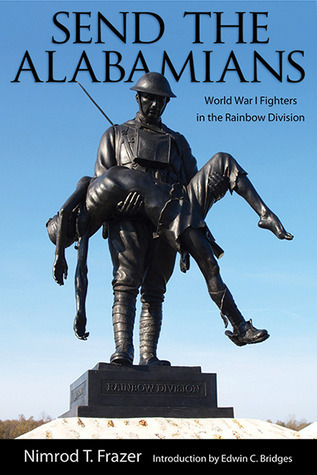 This is an amazing and very informative book about these brave men. It gave me a whole new respect and idea of how much they sacrificed for this great country. This is a must read for anyone interested in World War I, military history, and/or Alabamians during the first world war. Very informative and readable. The story of the 167th Regiment in WW1 (Alabama) that is well written and researched. The author's father was in the war. The author was awarded a silver star in Korea.